I see Hakuhodo brushes have a thread, but I thought we should have one for other Japanese brush brands too! oh, I have been curious about these brushes also and how to get them in the US...thank you for starting a thread! All of them ship worldwide, but shipping costs from most of them are pretty hefty. Cool Japan Now was pretty reasonable - I think I paid like $18 for FedEx shipping to the US. Wow, for that price I would expect the squirrel to come put my makeup on for me! With brushes in that price range it's often the handle that makes it very expensive too. 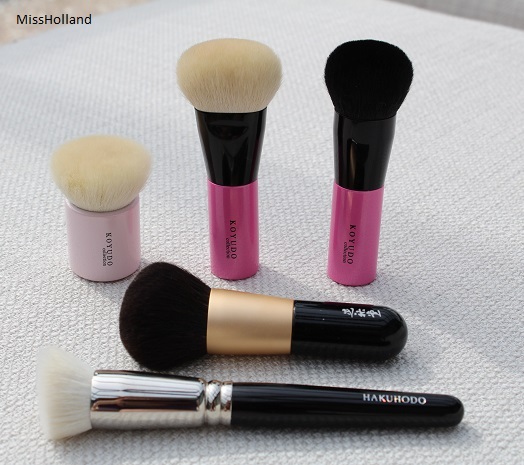 The most expensive series of Hakuhodo are that expensive because of the special handles. Kashoen Royal brushes are even more pricey, the handles are so pretty. We have a Koyudo thread as well http://www.specktra.net/t/183879/koyudo-brushes. Hakuhodo was the first Japanese brush brand I tried, but I recently ordered a couple Koyudo. I can't wait till they arrive. I'm also planning on getting some Chikuhodo and Tanseido brushes next. We have a Koyudo thread somewhere as well. Hakuhodo was the first Japanese brush brand I tried, but I recently ordered a couple Koyudo. I can't wait till they arrive. I'm also planning on getting some Chikuhodo and Tanseido brushes next. Oooh, which Koyudos did you get? I snagged the red squirrel cheek brush in the fall, but I've been lusting after the BP004 and Fu-pa02. I totally agree about the handles - I have a lot of Hakuhodo G and J series with the plain black handles and they were really reasonably priced. Comparable to MAC brushes anyway (but higher quality IMO). Lol that would explain the price at least - that would have to be a highly-trained squirrel! I got the Fu-Pa02, BP034, BP035 and BP036. Lucky you that you have the red squirrel cheek brush! My Hakuhodos are also all G and J series. The quality is much better than Mac and the price is indeed very reasonable for what you get. I worked on my list for my next purchase this evening and my Chikuhodo list is Z-2, Z-4, Z-10 and G-16 and for Tanseido I think YAQ17, YSC17 and YWQ7. Do you have a wishlist for any brands? 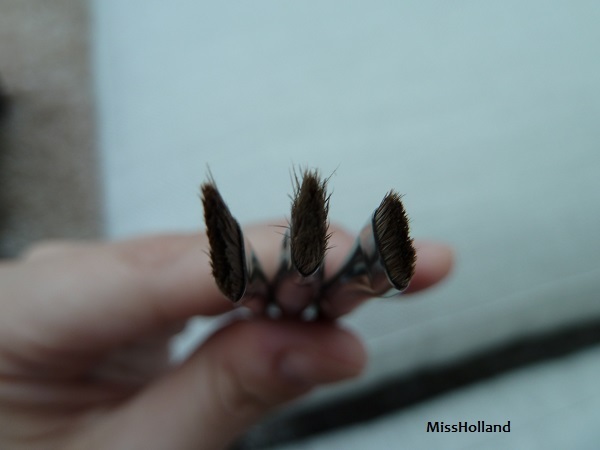 I can't wait to hear what you think of the Koyudo eye brushes! I have entirely too many wishlist items :-) From Hakuhodo I want the J004G, K024, G5529 and large Kokutan Kinoko C (one day, maybe!). The next time I order from Chikuhodo I'm eyeing the R-C2 cheek brush and/or Z-4, and the MK-2 at some point. I'll post about the brushes once I have them. My wishlist is much larger too, but these have my priority. 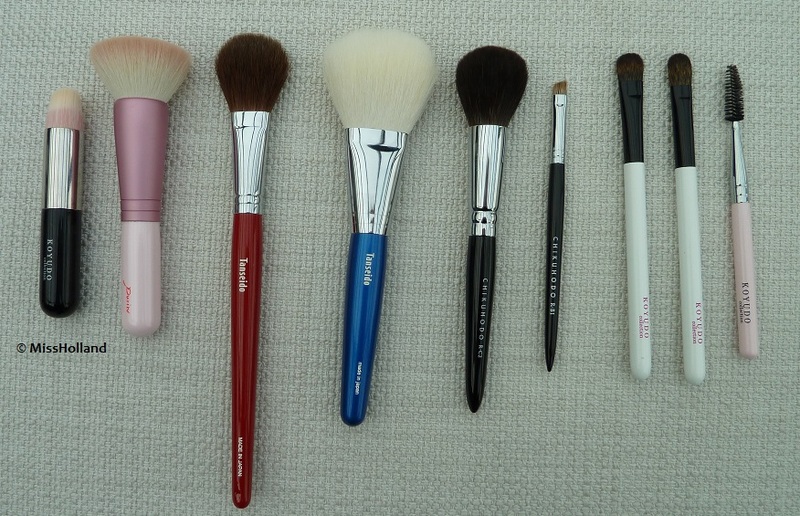 I would like a powder brush from Chikuhodo too, but I like the shape of the Z-1 and the handles of the MK brushes, so I'm not sure yet which and I figured since I don't have any squirrel brushes yet a smaller and cheaper option for the face would be better to try first. i ordered 4 Koyudo brushes from cooljapannow. 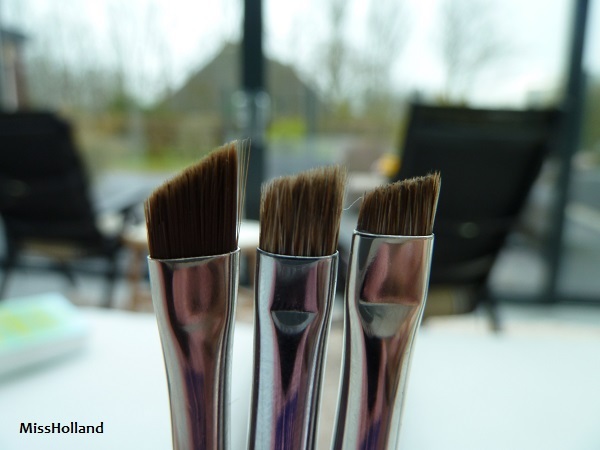 Bp014- Foundation brush. i plan to use it as a blush brush both are made from Goat Hair. they all have White handles with pink letters. i cant wait to have them. i have a couple of hakuhodos and i like them alot. so i decided to try a different brand. the ultimate dream is a chikuhodo haul. I have had the Fu-Pa02, BP-34, BP-35 and BP-36 for a couple of weeks now. The Fu-Pa02 is love for foundation! It blends so easy and perfect. The BP-34 is made from kolinsky hair and better than the Mac 242 IMO, because it has more hair and therefore is denser. I wanted something to replace the Mac and I'm glad I found it. It's great for cream eyeshadows. The BP-36 is also a kolinsky brush and it's supposed to be a dupe for a Shu Uemura brush that I wanted. I didn't get the Shu brush when I found it in a Shu store in Antwerpen, because it was €50 The Koyudo one is perfect and it was much cheaper! It's a very small crease brush and because it's stiff it can be more precize than the Hakuhodo J5529. The BP-35 was my first squirrel hair brush. I thought it might not be great for shadow because it's so soft, but it actually pics up quite a good amount of product. 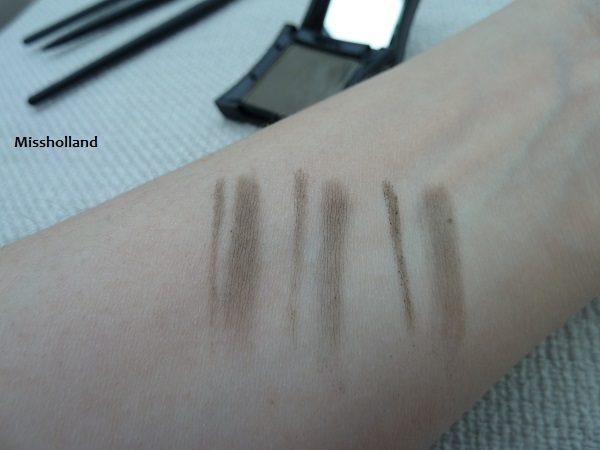 It's especially nice for pigmented eyeshadows that are soft and can have fall out. The fall out is minimal with this brush. I would like to hear your thoughts on the brushes you ordered too! im SOLD! i luv the mac 242, i prefer it over the 239. i saw some of the kolinsky ones but i didnt know what to think since i have never touch the material. i dont have the haku j5529 but im loving crease brushes. lately. You're welcome! I wanted to write about the brushes earlier, but since I started my graduation intership (I'm not sure if that's what it's called in english) I'm very busy and I forgot about it. Kolinsky hair is similar to weasel, which I think that's what the Mac brush is made of. It's good with liquids as well, so if you like to use pigments wet you can use brushes with this hair. The BP-34 is a bit bigger than the Mac 242 though. I wish they had a size just a bit smaller, so I could change it up. They have some smaller ones, but I think those might be too small. Hakuhodo also has some kolinsky hair brushes, but they are only sold in Japan. I'll see if they have something a bit smaller and maybe I can get it with my next cp from Tommy. Im not frowning. this is my resting b*tch face. i think the koyudo brushes have more fun handles LOL im glad to know thanks to PDF that the quality is there. you should follow Sonia at sweet makeup temptations. she knows all brands. she is the brush Queen. The FPr002 is one of my favorite brushes. Its sooooo soft! Love it! Love all the Japonese brushes I need too try the Tanseido en Chiku brushes more, they are new. I only tried them once. Enjoy your haul! the blue handle tanseido looks soo pretty. i have the BP035 in my wishlist. the BP032 looks like a mac 217. in shape. adding it to the list. Chickibum, i love the Fu-Pa02 for foundation. I ordered a BU. Mac, Chiku and Haku brush. The MAC brush has long hair and is flexible. The hair is synthetic. Works great for less pigmented products. The Chiku brush has long hair too, and its a little fluffy and little flexible. The hair is Water Badger. 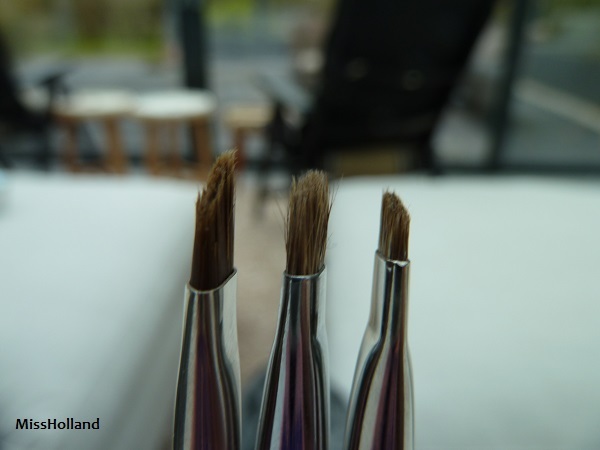 This brush give you a soft and natural finish. I use it with Illamasqua Motto, a pigmented product. The Haku one is perfect. You can make sharp lines but when you fill your brows in you get a soft, natural and even finish. The hair is Weasel. As you can see on the picture, the MAC one give you the most colour. I dont like this brush because of that.. and because its big and too flexible in my opinion. You can work with the Haku and Chicu more precisely. If i had too pic one brush it would be the Haku one because you can make sharp lines en fill your brows softly in. But the Chiku one is a realy nice brush too. It just depends on what you like the most. I ordered a couple new Chikuhodos from now-eproject recently, and they came in a couple days ago! Terrible picture, but there you have it. 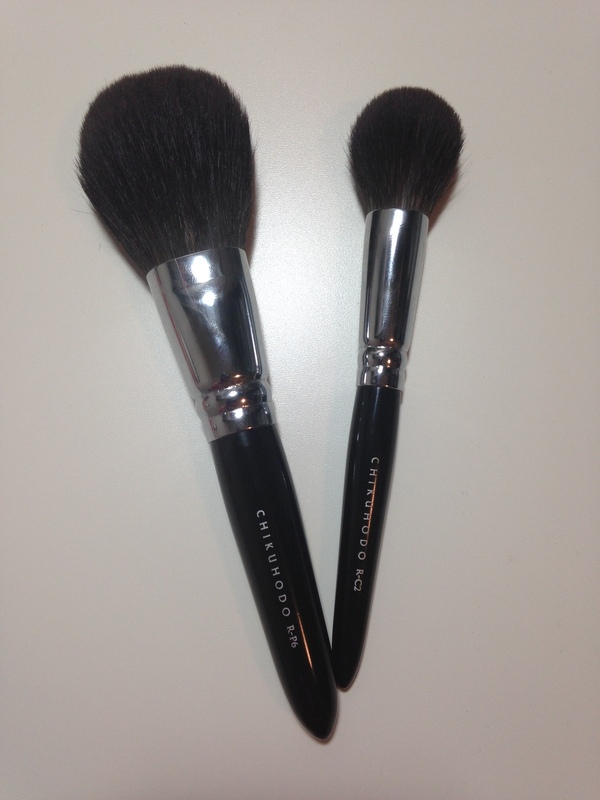 The one on the left is the R-P6 powder brush, and the smaller one is the R-C2 cheek brush. Both are grey squirrel, and pretty dense so they're a lot firmer than, say, the Koyudo red squirrel brush. It's my first experience with Chikuhodo grey squirrel and I'm already in love. I imagine they're similar to the hairs in the Z series, but the price tag isn't quite so high. Enjoy! they both look gorgeous! im hoping to get some of the Z ones for my B-day or the passion set. also the pic is fine! I only have one brush from the Passion series, but based on that I think it would be better to go with the Z series. The Passion handles are soooo pretty, but the hair in the powder brush isn't really as soft as I'd like it to be. BP013, BP014, BP033 and BP037 Closer shot BP013, Chanel #4, Mac 128 BP014 and Mac 227 This Pic is really bad Sorry. NARS #12, Hakuhodo J146 and BP037. the nars one is the smallest, then the Haku is the biggest one. so the koyudo is like medium. BP033 and Hakuhodo J5523 The hakuhodo one is Bigger and more Fluffy than the Koyudo one. The hakuhodo one is Bigger and more Fluffy than the Koyudo one. Oooh those look so soft and fluffy! Are you using the BP013 for blush?